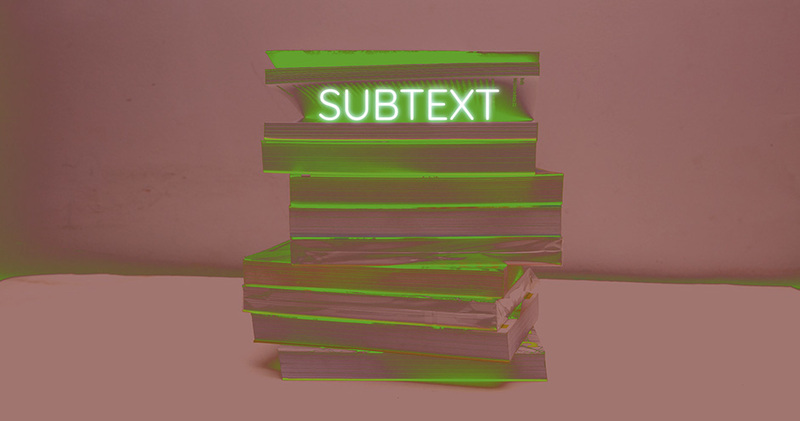 Subtext is a culmination of texts, symbols and images which proposes to re-explore the relationship of text and image. A white cube is temporarily transformed into a reading room with an overlap between text-based art and art-based-text. It is an imaginary library formed for the artists and art audience to test the symbiosis of form and meaning. Subtext features a display of two hundred fifty-six books on art across the world covering diverse subjects including history, biography, theories, philosophy, manifestos and more. The intertwined play of art and text are reflected in video, drawing and installation works by nine artists.